A searing, electrifying debut novel set in India and America about the EXTRAORDINARY BOND BETWEEN TWO GIRLS driven apart by circumstances but relentless in their search for one another. Poornima and Savitha have three strikes against them. They are poor. They are driven. And they are girls. After her mother’s death, Poornima has very little kindness in her life. She is left to take care of her siblings until her father can find her a suitable match. So when Savitha enters their household, Poornima is intrigued by the joyful, independent-minded girl. Suddenly their Indian village doesn’t feel quite so claustrophobic, and Poornima begins to imagine a life beyond the arranged marriage her father is desperate to secure for her. But when a devastating act of cruelty drives Savitha away, Poornima leaves behind everything she has ever known to find her friend. Her journey takes her into the darkest corners of India’s underworld, on a harrowing cross-continental journey, and eventually to an apartment complex in Seattle. 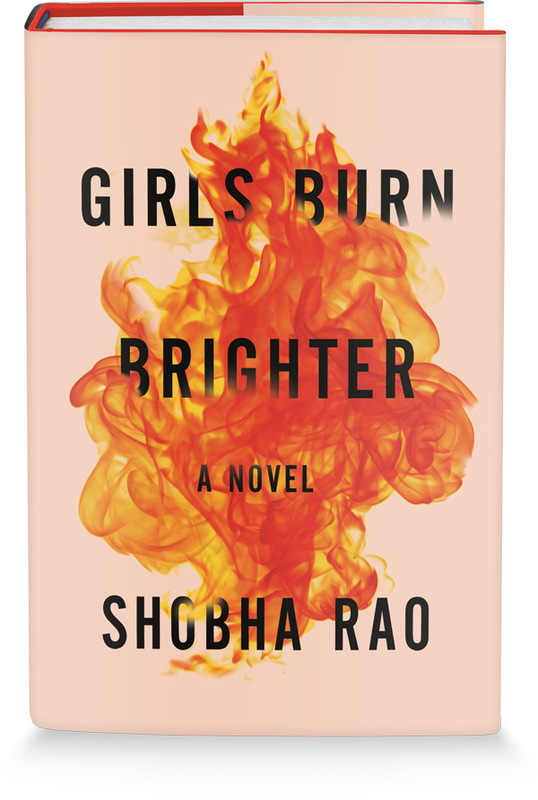 Alternating between the girls’ perspectives as they face ruthless obstacles, Girls Burn Brighter introduces two heroines who never lose the hope that burns within them. "Girls Burn Brighter blew my heart up. Heart shards everywhere. I am in awe."